Practical advice for making the shift to your first leadership position. The number of people who will become first-time supervisors will likely grow in the next 10 years, as Baby Boomers retire. Perhaps the most challenging leadership experience anyone will face isn't one at the top, but their first promotion to leadership. They must deal with the change and uncertainty that comes with a new job, requiring new skills, and they've been promoted from peer to leader. 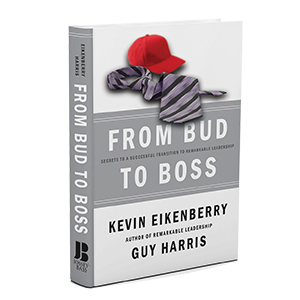 While the audiobook addresses the needs of any manager, supervisor, or leader, it pulls from the best leadership and management thinking, and puts the focus on the difficulties that new leaders experience. This much-needed audiobook can help new leaders get beyond the stress and fear to focus on becoming the most effective leader they can be - starting right now.